Castles By The Beach Realty is a luxury boutique real estate office and was the culmination of the efforts of Joyce M Schneider to draw herself a select group of highly motivated and independent real estate professionals. Each is respected in the real estate business by both clients and colleagues alike and possess a keen caliber of understanding the constantly changing real estate market. Joyce and the agents of Castles By The Beach have a self-motivated drive to represent their buyers and sellers, and the industry with relentless persistence yet simultaneously with innate integrity to the transaction and the real estate profession as a whole. From out of this vision, Castles By The Beach was the natural evolution. With over $100 million in her listing portfolio, Joyce Schneider plans to keep successfully Selling the luxury Waterfront and East area markets. 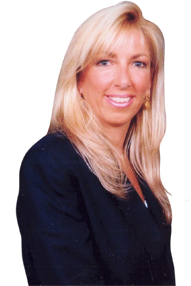 Joyce was previously with Castles By The Sea Realty, which she joined in 1997. She achieved a meteoric rise to the top producer within her first year with Castles By The Sea. From 2002 to 2007, Joyce was averaging between $40 and $65 million a year. Schneider credits her success to knowing the market and knowing each listing available in the Eastern areas of Boca Raton, Delray Beach, Highland Beach, Deerfield Beach, and Hillsboro Mile. “This is essential in today’s market. If a client is driving around and asks about a house they drove by, you have to be able to tell them everything about it, even if it is not your listing. There are a lot of realtors in this area, and if you don’t do your homework and know what’s out there–they will find someone who does,” says Schneider. Schneider, originally from Clifton, New Jersey, joined Castles by the Sea Realty in 1997. A few years later, it changed its name to Castles Realty. Schneider was designated as Top Producer in Sales for 2002, 2003, 2004 and 2005, 2006, and 2007 and Top Listing Agent for Castles Realty for those same years. She was also named to Real Living’s Winner’s Circle Elite and received its highest single agent recognition, “Ruby Award,” which places her in the Top ½ percent in the nation for professional Realtors. In 2008 Castles By The Beach was born, and her continued success and her comprehensive knowledge of all waterfront and “Walk-to-the-Beach” communities in the area is unparalleled. AWARDED WHO’S WHO IN LUXURY REAL ESTATE 2012.